First time travelling with diabetes? Written with information from IAMAT’s new pocket guide for senior travellers by Claire Westmacott (to be published in October 2017). Managing diabetes during travel may seem daunting, but there are many resources to help you plan a healthy trip. Diabetes management (especially insulin dosage) is highly individual, so it’s essential that you consult your health practitioner before you travel. Here are some things to consider when planning your next trip. Book an appointment with your health practitioner to discuss managing your diabetes during your trip. Plan to bring enough insulin, medication, and supplies for the full duration of your trip, including extra in case they get stolen or lost. If you use insulin, your health practitioner will help you determine the best way to adjust your insulin regimen across time zones. If you are travelling eastward, you will lose time and may require less intermediate or long-acting insulin. If you are travelling westward, you will gain time and may require extra short-acting insulin and food. If you are taking oral diabetes medication and you will experience a 3 hour time change or less, you can adjust the time you take the tablets by 1.5 hours. For time changes over 3 hours, consult your health practitioner to adjust your medication schedule. Get a letter from your health practitioner detailing the type of diabetes you have, the generic and brand names of your medications, dosages, and a list of your medical supplies. This can facilitate border crossings and makes it easier to find appropriate medical care abroad (just in case). Don’t forget about vaccinations! This is a good time to make sure your routine immunizations are up to date and get any travel vaccinations recommended for your destination. Get vaccinated 4-6 weeks before departure. This gives you time to get multiple doses of vaccines if necessary and build up immunity. Your health practitioner may be able to provide travel vaccinations or you may be referred to a travel clinic. Pack snacks in your carry-on bag where you can easily reach them in case your flight or meal is delayed. Pack rapid-acting carbohydrates such as glucose tablets and sweets to prevent hypoglycemia. Avoid going through the security scanner if you have a CGM or insulin pump as it can damage the device. Tell security screening personnel about your device and ask for a manual search instead. Arrive early to reduce stress and allow time for delays. Try to eat meals at consistent times and always carry snacks in case of a delay in mealtimes. Stay active during your trip and while you’re in transit. Book an aisle seat so you can stretch and walk up and down the aisle. Test your blood glucose routinely and consistently. Eating unfamiliar foods, changing levels of exercise, and disruption of routine can affect your blood glucose levels. If you have type 1 diabetes, test your blood glucose levels as soon as you land and frequently for the first few days upon arrival. The stress of travel, change of routine and jet lag can make it hard to tell if you have very high or very low blood glucose. Check your feet regularly for injuries and cuts and wear proper footwear at all times, especially at the beach. Due to nerve damage caused by diabetes, you may experience a loss of feeling in your feet that lessens your ability to notice pain or other sensations. This can lead to lower foot problems such as injuries or abrasions that can become infected if not noticed and treated promptly. Pack enough insulin and supplies for the duration of your trip, plus an extra supply in case you are delayed or medications get lost or stolen. Make sure that all medications and syringes are labelled and in their original packaging. Make sure that your accommodations have adequate storage for your insulin. See Diabetes Canada’s tips for storing insulin in extremely hot and extremely cold climates. If you are planning a long-term trip, you may have to refill your supplies and medications abroad. Before departure, contact the insulin manufacturer to determine whether your medication and supplies are available in your destination country. Your pharmacist may be able to help with this. List adapted from “Travel with chronic medical conditions” by Mari C. Sullivan in The Travel and Tropical Medicine Manual, 5th Edition by Christopher A. Sanford, MD, MPH, DTM&H, Elaine C. Jong, MD and Paul S. Pottinger, MD, DTM&H. 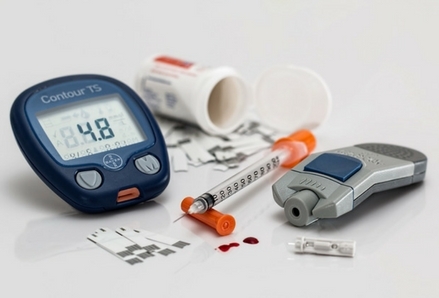 High altitudes can affect the accuracy of glucose meters. If you’re travelling to high altitude, your health practitioner may recommend that you bring a backup testing method (such as ketone-detection urine test strips) to verify glucose meter results. Some antimalarial drugs can cause hypoglycemia. Contact your health practitioner to discuss prevention options if you are travelling to an area with Malaria. Read the fine print of your travel insurance policy to make sure that you are covered for medical emergencies abroad. Some insurers may not cover diabetes (look under “pre-existing conditions” in your insurance policy). If the policy is unclear, call the insurer to clarify. If you need to see a doctor or refill a prescription during your trip, contact one of the reputable, English-speaking doctors listed in our Medical Directory. IAMAT members can log in to the Medical Directory with their member number and postal/zip code. Photo by Steve Buissinne, Pixabay.